Is Congress any more productive than it used to be? After previous sessions characterized by government shutdowns and legislative gridlock, the 114th Congress is showing strides towards effectiveness in its first 90 days, a new study by the Bipartisan Policy Center finds. To determine the two chambers' productivity levels, the organization's new "Healthy Congress Index" considers a few key measures, including the number of Congressional calendar days actually spent on legislative business. It reports that the House and Senate had more working days -- 36 days for the House, and 43 in the Senate -- during the first three months of 2015 than they did in the previous two sessions. This is hardly a record: both the 110th Congress and 111th exceeded that amount. But the Bipartisan Center was glad to see any signs of improvement for the legislative branch, which has suffered from approval ratings that have consistently been below 25 percent in the last few years. 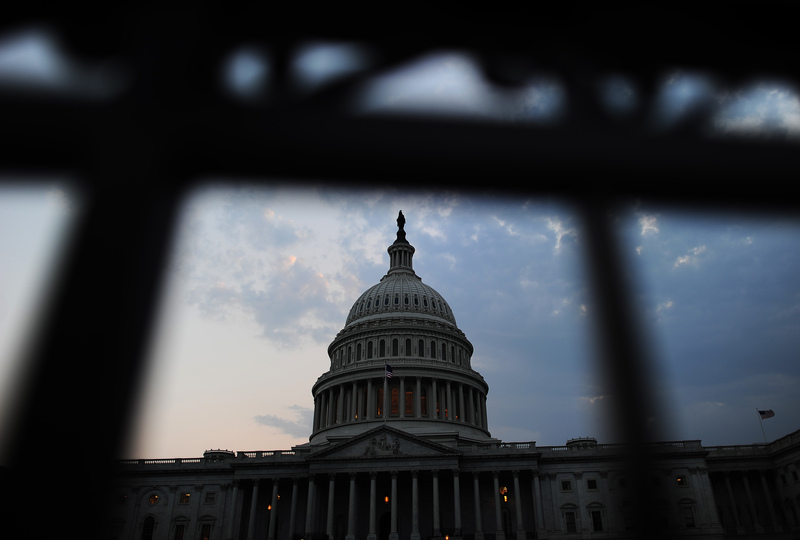 "I'm pleased to see early signs of progress toward a better-functioning Congress, but there's still a long way to go," former Senate Majority Leader Tom Daschle, a co-chair of BPC's Commission on Political Reform, said in a release of the report. Another key measure of the index, congressional committees' reported number of bills, showed higher amounts than during recent Congresses. The Senate also considered just over 200 amendments in the first quarter of the year, the second-highest number on record for those sessions assessed in the index. Leaders in the two chambers have promised less instances of partisan gridlock after the 2014 elections. The 2010 election brought the rise of tea party members, who slowed congressional action down. There were fewer tea party members elected in 2014, and tea party senate candidates failed to defeat incumbents in the primaries. Now BPC says the new Congress is finally "showing signs of life". The policy center admits that "it is not enough to judge the performance of a Congress after the three months in session," but it states that Congress may "slowly beginning to move in the right direction."